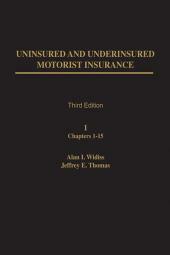 Widiss' Uninsured and Underinsured Motorist Insurance, Third Ed. 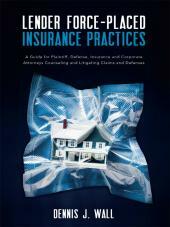 Frequently cited and quoted by both state and federal courts, this newly-revised three-volume set provides a detailed examination of both the nature and scope of coverage and claims procedures for both types of insurance in every state. Frequently cited and quoted by both state and federal courts, this newly-revised three-volume set provides a detailed examination of both the nature and scope of coverage and claims procedures for both types of insurance in every state. Combining lucid theoretical analysis with helpful practical insight, the text is amply annotated with references to the statutory and case law of every state. 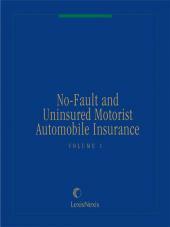 Volume One is devoted to the analysis of questions relating to uninsured motorist insurance coverage, including covered persons, covered vehicles, covered injuries, "hit and run" accidents, multiple coverages, and coverage limitations. 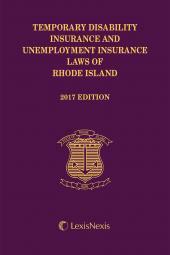 Volume Two provides a comprehensive discussion of the uninsured motorist insurance claims process, including protection and preservation of claims, settlement of tort and insurance claims, mediation and arbitration of coverage disputes, and litigation of tort and insurance claims. 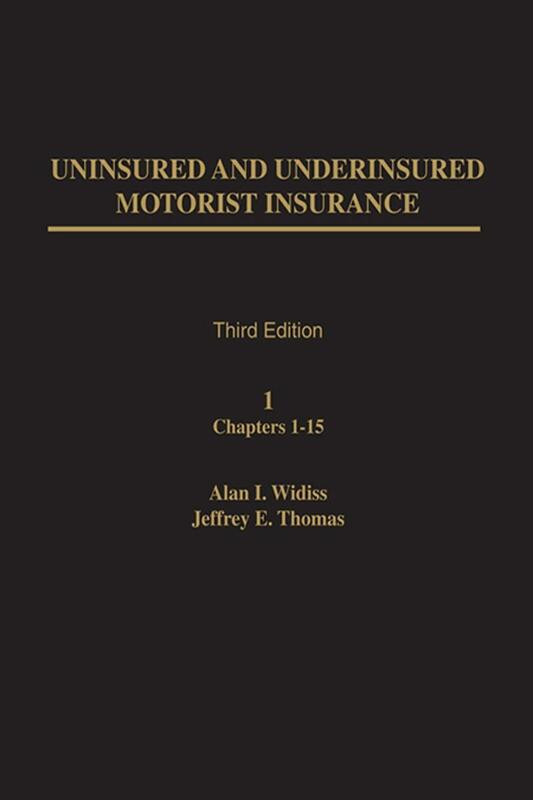 Volume Three offers a detailed examination of both coverage and claims issues relating to underinsured motorist insurance, including vehicle coverage limitations, limitations of liability, protection and preservation of claims, and arbitration and settlement of tort and insurance claims. The late Alan I. Widiss was the Josephine R. Witte Distinguished Professor of Law at the University of Iowa College of Law. Professor Widiss graduated from the University of Southern California School of Law in 1963, and received a Masters Degree from Harvard School of Law in 1964. He was a member of the California State Bar, the American Law Institute, the American Bar Association, and was a Past Chairperson of the American Bar Association Torts and Insurance Practice Section (TIPS) Committee on Alternative Dispute Resolution. of an "Insured Highway Vehicle"
Chapter 7: Determining When an Insured is "Legally Entitled"